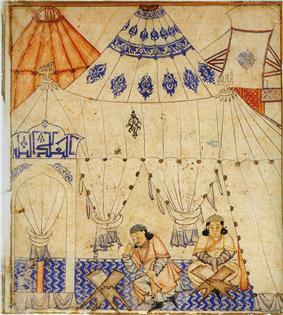 The Mongol ruler, Ghazan, studying the Quran. 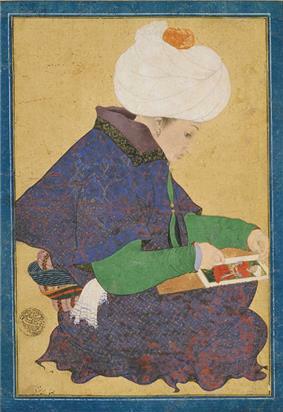 In a Muslim context, Islamic studies is the umbrella term for the Islamic sciences ('Ulum al-din), both originally researched and as defined by the Islamization of knowledge. It includes all the traditional forms of religious thought, such as kalam (Islamic theology) and fiqh (Islamic jurisprudence), but also incorporates fields generally considered secular in the West, such as Islamic science and Islamic economics. In a non-Muslim context, Islamic studies generally refers to the historical study of Islam: Islamic civilization, Islamic history and historiography, Islamic law, Islamic theology and Islamic philosophy. Academics from diverse disciplines participate and exchange ideas about Islamic societies, past and present, although Western, academic Islamic studies itself is in many respects a self-conscious and self-contained field. Specialists in the discipline apply methods adapted from several ancillary fields, ranging from Biblical studies and classical philology to modern history, legal history and sociology. A recent trend, particularly since 9/11, has been the study of contemporary Islamist groups and movements by academics from the social sciences or in many cases by journalists, although since such works tend to be written by non-Arabists they belong outside the field of Islamic studies proper. Scholars in the field of academic Islamic studies are often referred to as "Islamicists" and the discipline traditionally made up the bulk of what used to be called Middle Eastern studies or Middle East politics, in which Arabic can be studied ab initio. A recent HEFCE report emphasises the increasing, strategic importance for Western governments since [9/11 of Islamic studies in higher education and also provides an international overview of the state of the field. The first attempt of Europe to understand Islam as a topic of modern scholarship (as opposed to a Christological heresy) was within the context of 19th-century Orientalism. Some orientalists praised the religious tolerance of Islamic countries in contrast with the Christian West, or the status of scholarship in Mandarin China. With the translation of the Avesta by Abraham Anquetil-Duperron and the discovery of the Indo-European languages by Sir William Jones complex connections between the early history of Eastern and Western cultures emerged. However, these developments occurred in the context of rivalry between France and Britain for control of India, and were associated with attempts to understand colonised cultures in order more effectively to control them. Liberal economists such as James Mill denigrated Eastern countries on the grounds that their civilizations were static and corrupt. Even Karl Marx characterised the "Asiatic mode of production" as unchanging. It greatly aids understanding of list of Islamic terms in Arabic especially as used in early Muslim philosophy, since these provide the ontology upon which all sects of Islam later built. 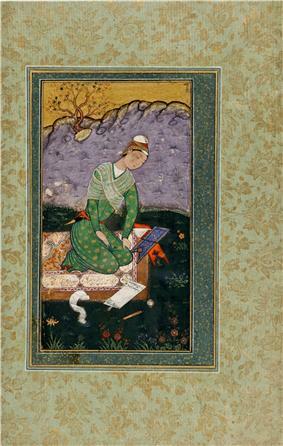 Islamic philosophy is a part of Islamic studies. It is a longstanding attempt to create harmony between faith, reason or philosophy, and the religious teachings of Islam. A Muslim engaged in this field is called a Muslim philosopher. Kalam (علم الكلام) is one of the "religious sciences" of Islam. In Arabic, the word means "discussion" and refers to the Islamic tradition of seeking theological principles through dialectic. A scholar of kalam is referred to as a mutakallim. Sufism (تصوف taṣawwuf) is a mystic tradition of Islam based on the pursuit of spiritual truth as it is gradually revealed to the heart and mind of the Sufi (one who practices Sufism). It might also be referred to as Islamic mysticism. While other branches of Islam generally focus on exoteric aspects of religion, Sufism is mainly focused on the direct perception of truth or God through mystic practices based on divine love. Sufism embodies a number of cultures, philosophies, central teachings and bodies of esoteric knowledge. Key distinctions include those between fiqh, hadith and ijtihad. This is not the same as science as conducted by any Muslim in a secular context. Certain liberal movements in Islam eschew the practice of Islamic science, arguing that science should be considered separate from religion as it is today in the West. As in Catholicism however, believers argue that the guiding role of religion in forming ethics of science cannot be ignored and must impose absolute constraints on inquiry. Science in medieval Islam examines the full range of scientific investigation in the Muslim world, whether performed within a religious or secular context. Significant progress in science was made in the Muslim world during the Middle Ages, especially during the Islamic Golden Age, which is considered a major period in the history of science. Islamic visual art has, throughout history, been mainly abstract and decorative, portraying geometric, floral, Arabesque, and calligraphic designs. Unlike the strong tradition of portraying the human figure in Christian art, Islamic art is typically distinguished as not including depictions of human beings. The lack of portraiture is due to the fact that early Islam forbade the painting of human beings, especially the Prophet, as Muslims believe this tempts followers of the Prophet to idolatry. This prohibition against human beings or icons is called aniconism. 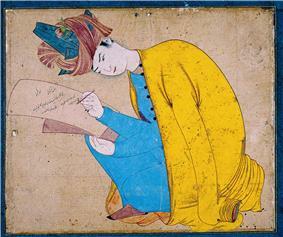 Despite such a prohibition, depictions of human beings do occur Islamic art, such as that of the Mughals, demonstrating a strong diversity in popular interpretation over the pre-modern period. Increased contact with the Western civilization may also have contributed to human depictions in Islamic art in modern times. This field includes the study of modern and classical Arabic and the literature written in those languages. It also often includes other modern, classic or ancient languages of the Middle East and other areas that are or have been part of, or influenced by, Islamic culture, such as Hebrew, Turkish, Persian, Urdu, Azerbaijanian and Uzbek. Islamic architecture is the entire range of architecture that has evolved within Muslim culture in the course of the history of Islam. Hence the term encompasses religious buildings as well as secular ones, historic as well as modern expressions and the production of all places that have come under the varying levels of Islamic influence. It is very common to mistake Persian architecture for Islamic architecture. Islamic comparative religion is the study of religions in the view of Islam. This study may be undertaken from a conservative Muslim perspective, which often sees Judaism and Christianity as having been originally similar to Islam, and later developing away from the root monotheist religion. However, some liberal movements within Islam dispute the conservative view as being ahistorical; they claim that Islam is the end-result rather than the origin point of monotheist thought. Islamic economics is economics in accordance with Islamic law. Because the Qur'an spoke against usury in the context of early Muslim society, it generally entails trying to remove or redefine interest rates from financial institutions. In doing so, Islamic economists hope to produce a more "Islamic society". However, liberal movements within Islam may deny the need for this field, since they generally see Islam as compatible with modern secular institutions and law. ^ See Robert Irwin, 'For Lust of Knowing: the Orientalists and their Enemies'. Monthly At-Tahreek, Bangladesh-based research journal on Tawheed and Saheeh (authentic) Sunnah. Digital Islam, research project on the Middle East, Islam and digital media.